Today we are sharing our favorite breakfast recipes that we posted during the year. Last year on this day we were posting our favorite breakfasts from 2015 and the year prior we shared our favorite Crockpot recipes. Let's start with eggs again today. One of my very favorites was this decadent, rich and comforting Waffles Benedict topped with a Poached Egg and smothered in a Creamy Sage Sauce. Don't worry, I served up some healthier options as well, like this open faced breakfast sandwich or this spinach toast with egg. Both of these were shared while I was on the Fast Metabolism Diet and are Phase 3 Friendly. Feeling rustic and casual? How about this filling, stick to your ribs sausage skillet topped with fried eggs? To round things out we went international with a Mexican breakfast bundt and an apple and onion frittata. 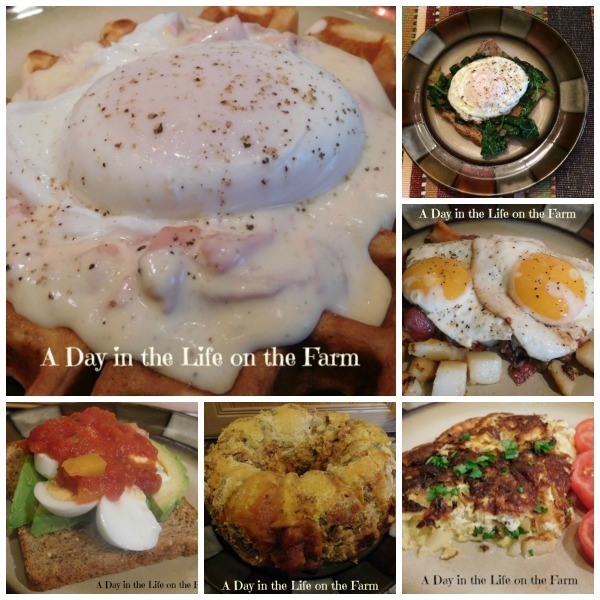 Not feeling like eggs? Not to worry. 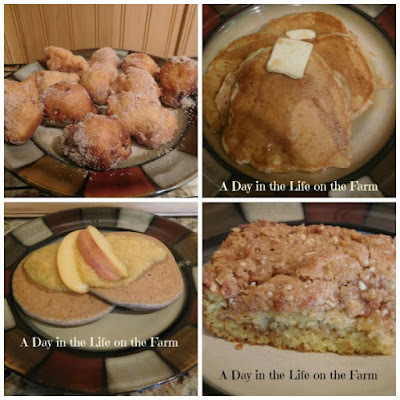 How about Apple Fritters, Peanut Butter and Apple Griddle Cakes, Buckwheat Pancakes or an Orange Coffee Cake with Pecan Streusel? 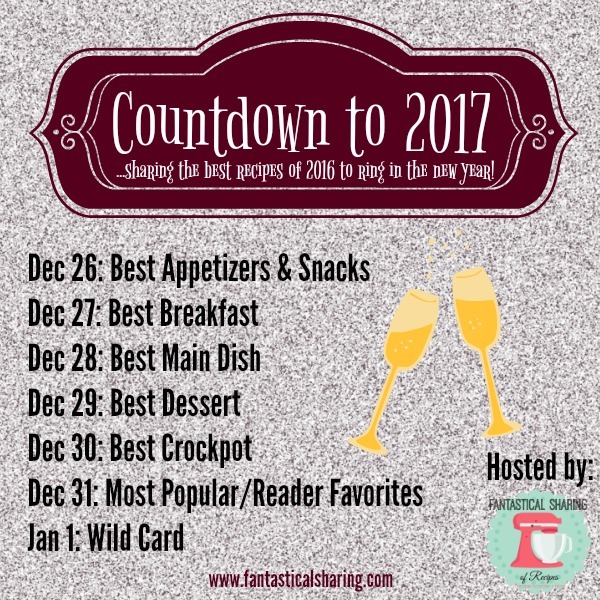 Before we look at what the others are sharing today, I want to thank Sarah of Fantastical Sharing of Recipes for all her hard work putting this event together each year. I have to try your Waffles Benedict and that Spinach Toast with egg is calling my name as well. Apple fritters? My family would love me! Mexican breakfast bundt? I need to check that out stat! My little Angel Face certainly loved the fritters Karen. Holy smokes! Waffles Benedict?!? How did I miss that one?? Yum! I don't know Amy but it is sinfully delicious. You and me both Paula. Waffle Benedict and apple fritters please!! !